The UK has something of a reputation for its wet climate, and its citizens for constantly talking about the weather. So, it might come as a surprise to find that in the UK the chance of encountering a data breach is higher than that of experiencing a rainy day. A survey by technology services company shows 43% of UK businesses having endured a cyber breach or attack over the most recent a year as against simply 36.4 % chance on average of encountering a wet day. More worrying is that the investigation finds 44% of businesses are failing to properly protect their client and employee information by not adequately securing their server. What’s more 37% of the UK workers surveyed say they don’t believe they have important information stored on their server, uncovering exactly how naïve many workers are about the sensitive nature of both the commercial and personal data they are storing. As per UK leading IT Service provider: More than ever, it’s essentially important for organizations to pay attention to information security, the heart of which is server security. Measures should be taken to protect data at the point of storage, in-flight and across mobile device, and a safe firewall should be applied to stop malicious internet attacks at the perimeter. Moreover, employee training around handling data and introducing a ‘trust nothing’ culture supports improved information governance, which protects against non-compliance fines and reputational fall out from a breach given the shocking statistics that dictate it is a case of ‘when’ not ‘if’ a cyber-attack will occur, the last bit of the jigsaw is to ring fence and protect business continuity with a strong and very tested Disaster Recovery plan and process. 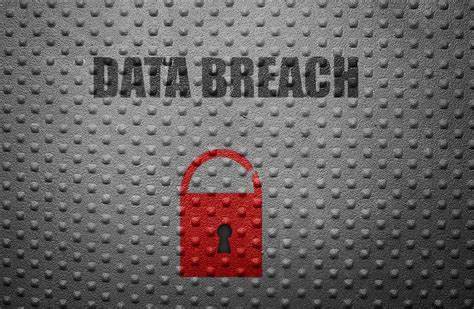 No backup and recovery plan fundamentally improve the probability of a business ceasing to trade beyond a breach. How can we prevent such breaches? Hiring developers who took penetration testing courses and training can be converted as your in-house white hat hacker for your organization. This is by far the most secure way of securing one face of security in your organization. Another option would be outsourcing your white hat hacker, along with a phishing intelligence team, this could work out quite handy in terms of flexibility and cost. Brand Monitoring is another way of adding an extra layer of security to your digital security infrastructure, this is to ensure that there can be prevention of possible pre mediated data breach. One example is an ex-employee or a rouge employee uploading their developer stuff in Github. Think of it this way, since data breaches are more common than rain, then why not treat these security services as a raincoat and umbrella? You cannot just tell the rain to go away, do you?